Do you want to Sell or Trade your caravan? WE BUY CARAVANS! At Avan Adelaide we are always looking for good secondhand stock to service our ever growing network of national customers. Recently we have experienced high demand for used caravans and are desperate to buy good quality caravans and campers. 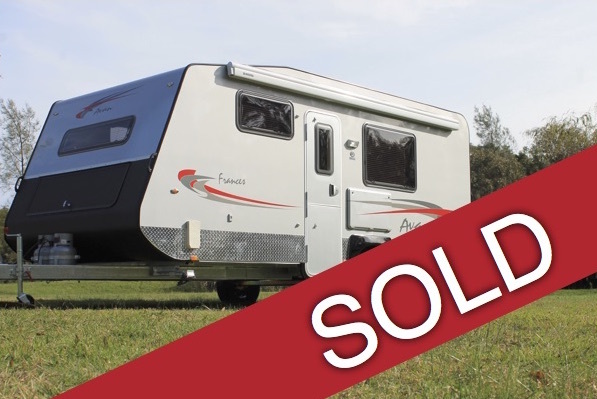 We have three options available when it comes to selling your RV; Sell, Trade or Consign. We can take away all the stress involved when trying to sell your caravan or motorhome on your own and we can even handle finance payouts. Our process is simple and fair so if you are thinking about selling your RV please contact us today on 08 8261 8442 or submit an enquiry form for a free valuation. We can buy your caravan, camper or motorhome from you today. This is the best option if you want to sell your RV quickly. Selling privately can take time and cause you hassles. With this option we will offer you our current wholesale price. We trade anything of value; caravans, motorhomes, boats, cars and more. If you are looking to purchase another caravan from us this is a great option for you. If ordering a new RV from us, your trade in will be used as a deposit so no money needs to be outlaid. Avan Adelaide can sell your caravan, camper or motorhome on consignment for you. Our consignment service is simple and cost effective and is the best option to maximise the return on your RV. Selling your caravan through us is a safe, secure and stress free option. Best of all we have a NO SALE NO CHARGE policy. We will negotiate an agreed value that you are happy with and act as your agent to achieve this mutually agreed sale price. We do ask for a minimum commitment of 90 days to sell you RV. If you would like to sell your caravan then contact our dealership on 08 8261 8442 to discuss your options. If you are interested in purchasing a new RV, check out our caravans for sale to see if we have any stock that interests you. Please fill out the below form if you are interested in getting a valuation of your RV. Please add photos of your vehicle. (You can add multiple photos by pressing 'browse' button and selecting one photo at a time).